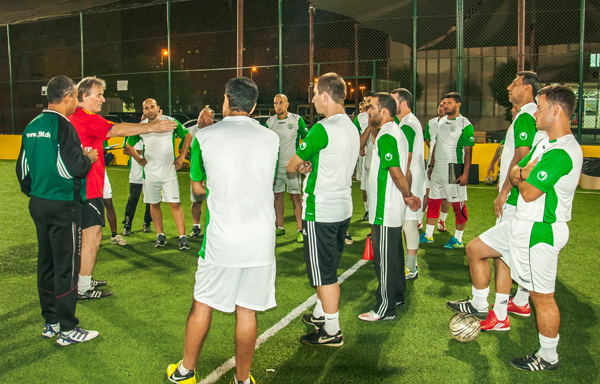 Peter Schreiner showed in the practical session drills to teach the ground pass, one touch soccer and combination play. 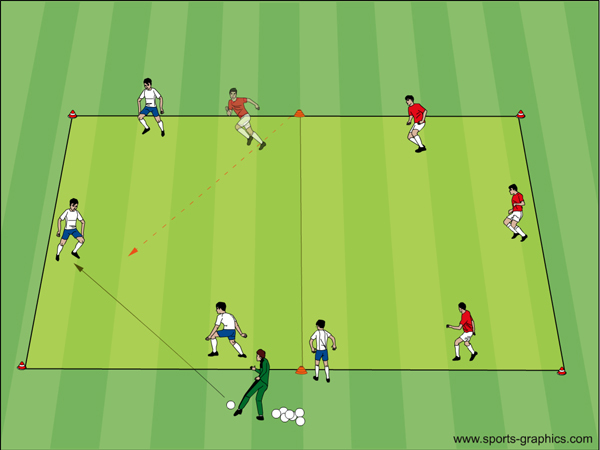 1) Warm-up game: Touching the partner with the ball and change. 3 Hunters for 12 plyers. The hunters hold the ball in their hand and try to catch the others. 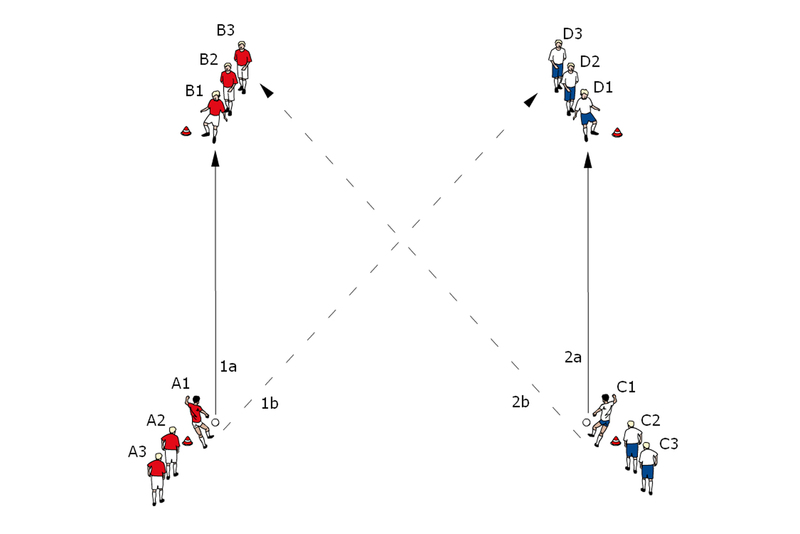 If touching the one other with the ball, ball down and thoe other ball up.